ON GOLF COURSE WITH DIRECT LAKE VIEW AND DIRECT VIEW OF the 4th HOLE AT PINE LAKES COUNTRY CLUB. CUSTOM BUILT HOME. 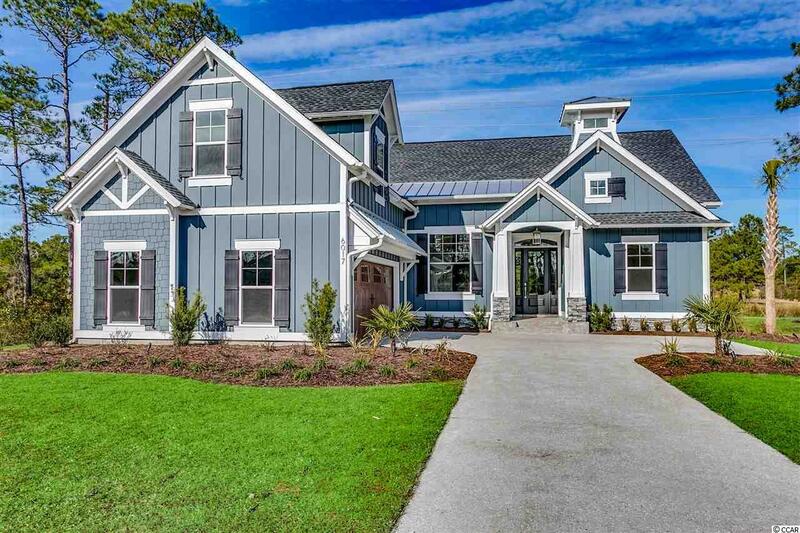 CONTEMPORARY CRAFTSMAN STYLE: HARDIE BOARD, SHAKE, BOARD AND BATTEN SIDING WITH BRICK ACCENTING. BEAUTIFUL INTERIOR WITH CROWN MOLDING, TILE FLOORING THROUGHOUT MAIN LIVING AREA, GRANITE COUNTERTOPS, UPGRADED MAPLE CABINETS. SPACIOUS SCREENED PORCH. 8 YEARS EXTENDED HOME WARRANTY. MODEL LEASE BACK AVAILABLE. Directions: From Business 17 In Myrtle Beach Turn On Woodside Ave.(Approximately- 54th Ave. N). Take First Left Past The Pine Lakes International Country Club House On Country Club Drive. The New Development Pine Lakes Estates Will Be At The End On Your Left.